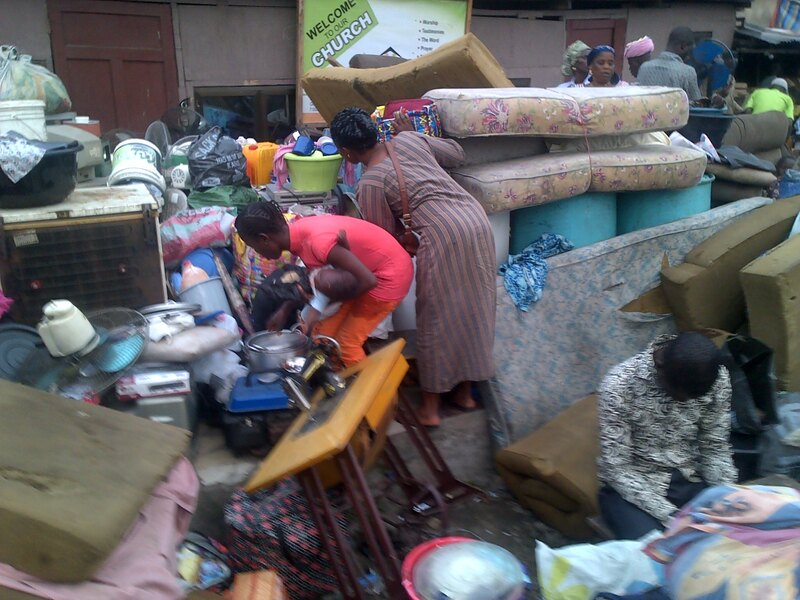 Friends of Badia East from across the civil society have come together to strongly condemn the forced evictions that began in Badia East, Lagos State, on 18 September 2015. Once again, thousands of families have been rendered homeless at the peak of torrential rainfall, leaving scores of women and children to sleep under makeshift shelters at the demolition site. The heavy rains that fell throughout the Eid-el-Kabir (Sallah) holiday highlighted the misery of homelessness. Based on the lack of adequate notice, the failure to identify and consult with the persons to be affected, and the total disregard for persons who are left homeless without alternative as a result of the ongoing demolition, we consider the demolitions carried out to be a forced eviction and, as such, a grave violation of human rights law and statutory provisions in force in Nigeria. We note that, without the requisite protections being put in place, even an eviction carried out in accordance with a judicial decision can amount to a forced eviction, according to the United Nations Office of the High Commissioner for Human Rights and UN Habitat, among others. The forced eviction started on 18-19 September and continued again on 22 September, moving from Badia East toward Badia West, displacing more than 10,000 people to date. Although technically a private demolition exercise by the traditional landowners, the Ojora Chieftaincy Family, the Nigerian Police Force and Lagos State Government have been providing material support throughout the exercise. Scores of policemen have been on ground every day, with a police officer seen riding on the bulldozer itself. On Tuesday, a well-known official with the Lagos State Physical Planning and Development Authority (LSPPDA), Mr. Tunde Olugbewesa, was on ground throughout the day with other officials, overseeing and directing the demolition. In February 2013, over 9,000 people were forcibly evicted from the neighboring part of Badia East in a demolition carried out by the Lagos State Government to make way for a housing project built under the Home Ownership Mortgage Scheme (HOMS). That demolition violated the World Bank safeguard policies on involuntary resettlement, which the State Government committed to follow when it accepted $200 million to upgrade Badia and other slums in Lagos – financing intended to benefit the residents of Badia. There is serious concern that the Lagos State Government will use the land now being cleared to expand its HOMS housing scheme, in which the monthly mortgage payment for the least expensive housing unit is more than ten times the typical rent for comparable space in Badia. On Monday, 21 September, Badia East evictees staged a peaceful protest outside the Lagos State Governor’s office, calling for Governor Ambode to intervene to stop the demolition. In response, the Lagos State Government issued a temporary stoppage order late on Tuesday. 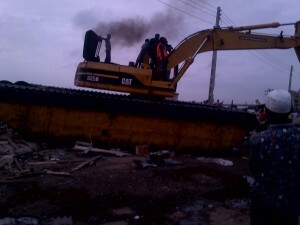 While we applaud the stoppage of the demolition since Tuesday evening, we remain deeply concerned about the thousands of evictees who have suddenly been rendered homeless, as well as the 20,000 or more others in Badia East, Badia West, Apataaro, and other neighboring areas of Apapa LGA / Apapa-Iganmu LCDA who are still at risk should the demolitions resume. The demolition has not only caused widespread homelessness, but also severe loss of livelihood for traders, landlords, and business owners alike. Mrs. Biola Idiefo Ogunyemi, a widow and mother of six, lost two residential buildings with a total of 38 rooms, three shops, and a bar that she had owned since 1991. The 14-room makeshift structure that she erected behind these buildings was also destroyed. “How will I care for myself and my children now?” she lamented. We join the victims in calling for the Ojora Chieftaincy Family and the Lagos State Government put a final halt to these demolitions. We implore urgent protective action for the victims by the Lagos State Government and the Federal Government, both of which have the legal responsibility of preventing forced evictions, protecting victims, and ensuring effective remedy. At a United Nations summit just days ago, President Buhari publicly committed Nigeria to the 2030 Sustainable Development Agenda, which sets goals for eradication of poverty and rights-based upgrading of slums. It is high time for such commitments to be felt in places like Badia. 3. That persons rendered homeless, especially women, children and other vulnerable populations, be given immediate humanitarian assistance, including adequate temporary shelter while long-term solutions are in process.